At the heart of the hospitality industry lies an unparalleled committment to guest service. Brands take care in understanding the needs of their customers, and with the explosion of technology in recent years, the industry has been able to serve guests better than ever before. We understand that every location is different. At ITS, we handle every location individually, offering tailored solutions that not only engage your customers, but also improve efficiency while driving sales. Industrial Television Services provides a diverse offering of solutions to keep your guests informed and engaged. Show visitors everything you have to offer. 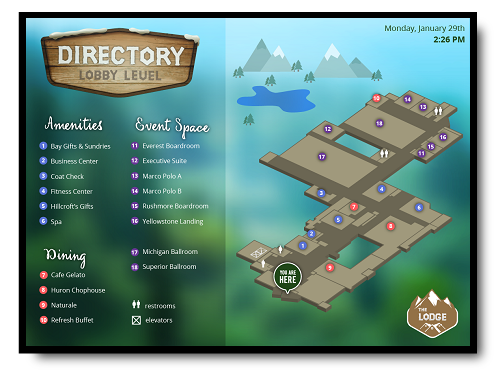 Building directories allow you to effortlessly guide guests to their destination and minimize staff inquiries at the same time. Make changes at a moment’s notice, without any additional costs or waiting. Highlight your important profit centers and drive additional traffic to these locations. The delayed traveler is an opportunity for your property to increase revenue; provide flight information before your customers are airport-bound. 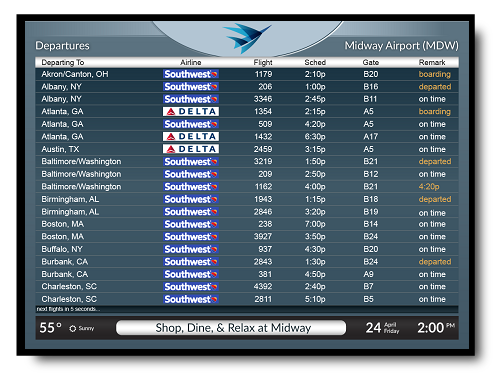 Using flight displays at your venue can increase sales of food, beverages, and other products & services. 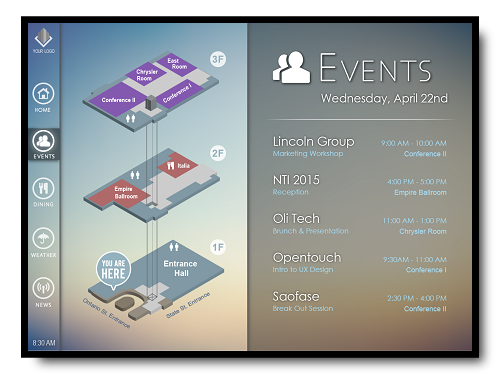 Meetings & event displays eliminate the confusion of meeting room scheduling. Help your guests find their way, while allowing your staff to concentrate on other visitor needs. Promote on-site F&B and retail options, driving additional revenue streams. 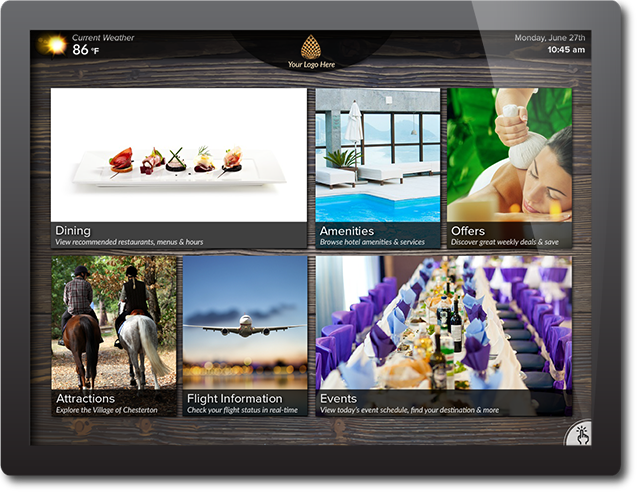 Virtual concierge is the ultimate travel resource for your guests, showcasing your venue’s every offering and recommendation in a visually stunning display. 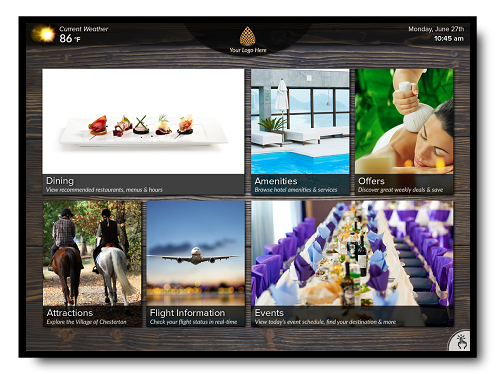 Drive revenue, improve productivity, and let guests create memorable itineraries.